Booming IoT sector worldwide is another important factor supporting the market growth. As of 2018, total number of connected devices exceeds 17 Bn, with IoT devices (excluding smart phones, laptops and other mobile devices) surpassing 7 Bn across the globe. By 2022, over 70% of the total IoT devices are expected to be connected using cellular technology, thereby creating enormous opportunities for eSIM market. eSIM cards are believed to be more useful for IoT ecosystem across verticals such as power generation, oil & gas, manufacturing and others. Changing SIM cards in these sectors may prove costly and difficult as most of the IoT devices are located at remote places that are challenging to access. As a result, growing industrial IoT is expected to emerge as the most promising factor bolstering the eSIM market over the following years. 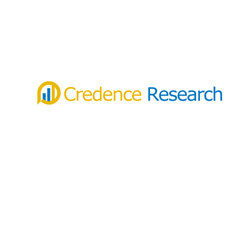 Kommentar hinterlassen on "Embedded SIM Market 2018 – Global Industry Size, Industry Share, Market Trends, Growth and Forecast to 2026"